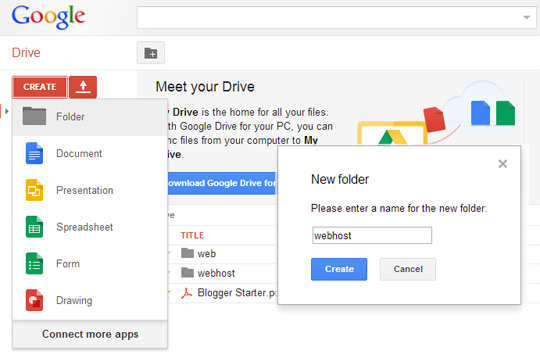 How to host your file to Google Drive. Upload your HTML, JS & CSS files to this folder. Open the HTML file & you will see “Preview” button in the toolbar. Share the URL that looks like http://www.googledrive.com/host/… from the preview window and anyone can view your web page. Its not a big update but certainly good if you want to share your portfolio and small thing on the web and you don’t have a hosting space. **Note Google wan’t share anything without your permission.